We like Spa Nordstrom because we can engage in our two favorite pastimes — shopping and spa-ing — at one place. 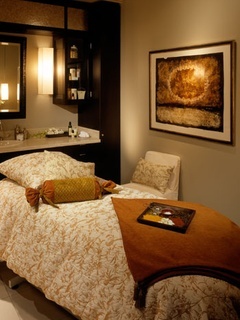 From simple manis, pedis and waxing to massages, facials and body wraps, Spa Nordstrom offers the full spectrum of spa services. Boys can sign up for a sport massage, sport manicure or pedicure, or the Roman emperor bath. That sounds manly, doesn’t it? Spa Nordstrom also can accommodate small group parties, a.k.a. girls’ day out.